Thanks so much for the information. 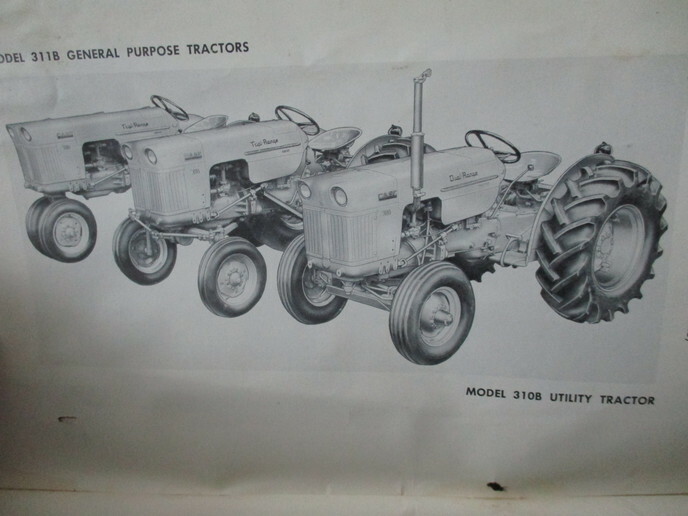 Was the 300 case tractor with solid front axle, flanged rear axle, shuttle with 8 speeds like mine a farm tractor? Case 320 I have haa the 3 point eagle hitch for running 3 point equipment when the backhoe is removed. I used to remove the backhoe to run my bushhog but as through the years we acquired several ford tractors: 8n,ford jubilee which have the 3 point hitches so no need to remove the backhoe. 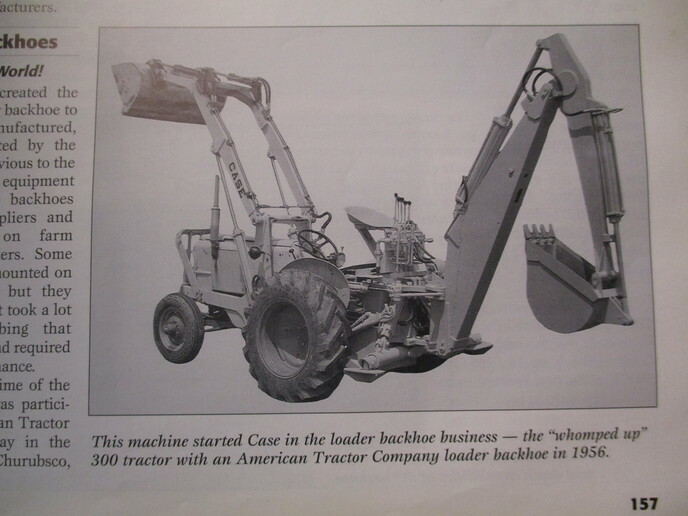 Manual for the tractor says the backhoe is easy to remove and install on the tractor. Always difficult for me. I extended the hydraulic lines to the backhoe which makes is less difficult to install the backhoe. 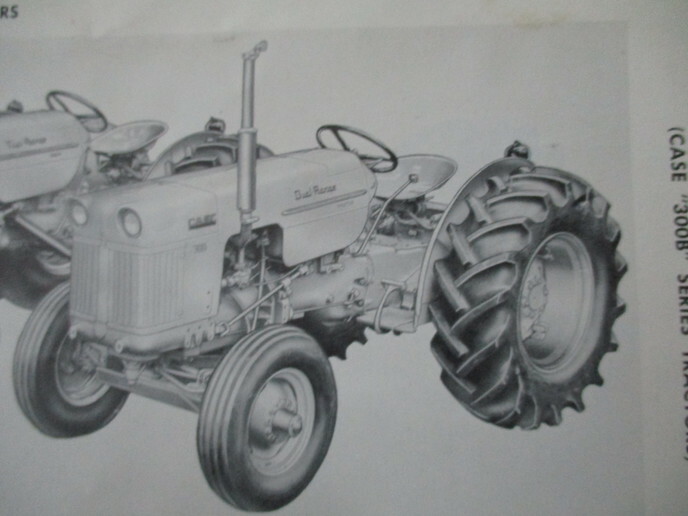 Did you work for case or just like case tractors? Picture you sent is tractor we have. Thanks for the pictures of the base tractors for the 320 case. I have never seen the base tractor before. Removal and assembling the hoe back to the tractor is certainly less time consuming than a day for some backhoes of the day. Takes me about 1/2 hour to remove the hoe,(I extended the lengths of the hydraulic lines connecting the hoe to the tractor. Changed the metal line from the pump to the hoe with a rubber hydraulic line. When I got the 320 it had a loader on it. When I added the backhoe I changed the hydraulic front pump to a 19 gallon per minute pump. Remove the housing and you can drive the races ans seals out no need to put it in a press, the cones can be a bit harder if you do not have a bearing puller, I have had to carefully split the cone with a torch to remove them trick is to not cut the axle. Thanks for the reply. Am I correct with the following: Axle housing removed; will need to remove the inside bearing cone prior to the axle coming out of the housing? I have used a torch to cut bearing cones and have also used a grinder with a cutting wheel. A Dremel tool with a small grinder might work better. Risky business due to possible cutting the axle.How would this be done in a machine shop? I know when I have had axle bearings replaced on my ford pickups the machine shop presses the bearings off the axle shafts. Axles on my ford 8N and ford jubilee tractors do not have an inside bearing on the axle shafts. I will proceed with caution with this project. May just let the seal leak a bit as it doesn't get on the disc brakes due to their location on the tractor.My 320 gets used maybe 10 hours a year. Removing a boulder from the field, They seem to grow here in the northwest, hard on the riding lawnmower and bushhog, digging holes for new trees, digging up around a leaking pipe. Age is against me now since I am old like the tractor, 76 years old for me 60 plus years old for the 320. I have kept active all my life so I could take on the project. Thank you for reviewing what I need to do to replace the inside seal. I have cut races with a torch on other axles and additionally have used a grinder with a cutting wheel to cut cones. A risky business due to possible damage to the axle. easier, more expensive,to take the axle housing to a machine shop and have the axle pressed out of the inside bearing cone? It seems to me that the 320 I have is much heavier built in the differential and rear axle parts than parts in the differential and axle assemblies on my fords 8n,ford Jubilee,my TE20 Ferguson. 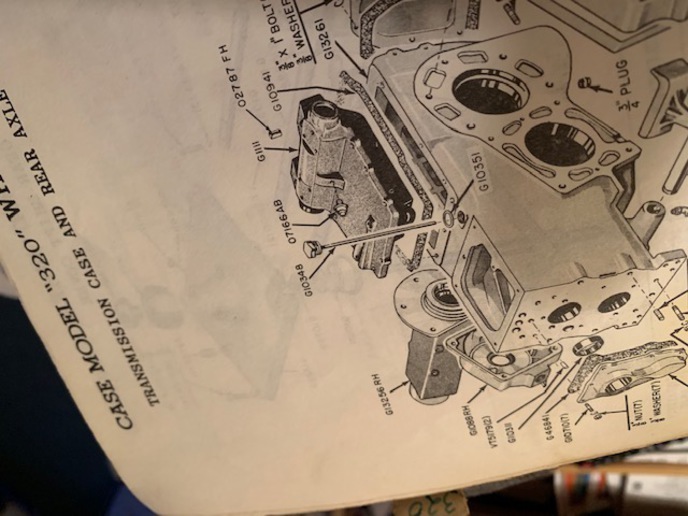 Several extra parts for my 320 include an axle which is much heavier build than on my other tractors.Maybe this is why Case chose the tractor to add a backhoe and loader. Thanks for sharing your interest and knowledge. Have the axle housing off with axle inside. 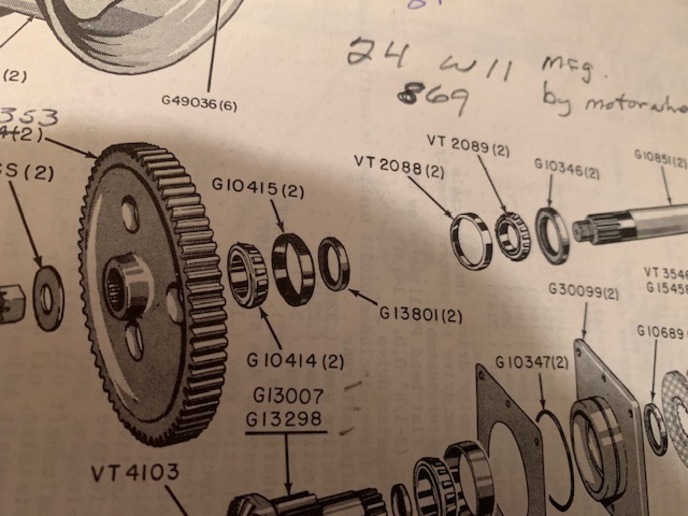 The inside bearing is tight on the shaft and I am unable to pull the axle out of the housing.Axle housing will not come off Inner bearing comes up against race which prevents axle shaft from sliding out. 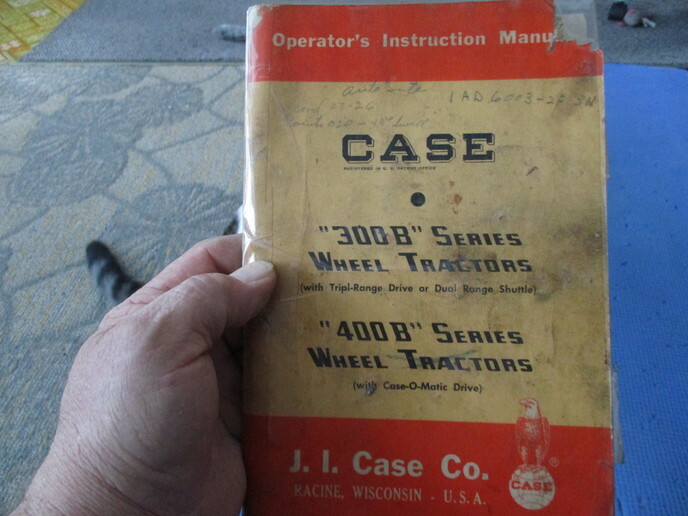 I posted this message earlier today under case loaders, crawlers> Wanted to know: When case decided to use the base tractor-case 300- for addition of a backhoe and loader. Was this tractor designed for the additional weight of the loader and backhoe as regards to differential, brakes, axles, tires, and front end parts? When I got my 320 most of the front end parts: spindles, rear bracket, axle had been broken or welded together. Replaced all the parts with new but did get a good used front axle from Farmland Tractor in Oregon. Tractor seems to work fine with the additional weight of the backhoe and loader.